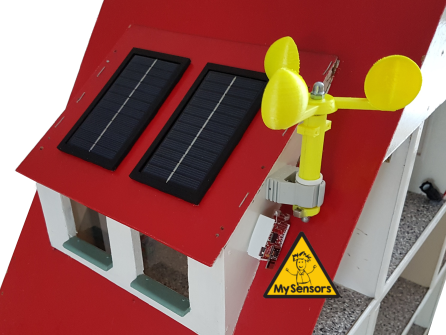 The MySensors team will host a booth at the Maker Fair in Eindhoven 2-3 September 2017. There we will show some of the fantastic things you can do with MySensors and open source hardware. Last few months Yveaux has been woking on setting up this years display; A fully automated doll house - deluxe edition. The doll house will be packed with all kinds of sensors and actuators, and everything MySensored of course! From solar panels to humidity sensor, from burglar alarm to television. It is a showcase of the complete Smart Home, MySensors Style! Make sure to come and pay us a visit! We'd like to thank our event sponsors enabling us to bring MySensors to The Maker Faire! MySensors project sponsors welcome. Please contact us for details.